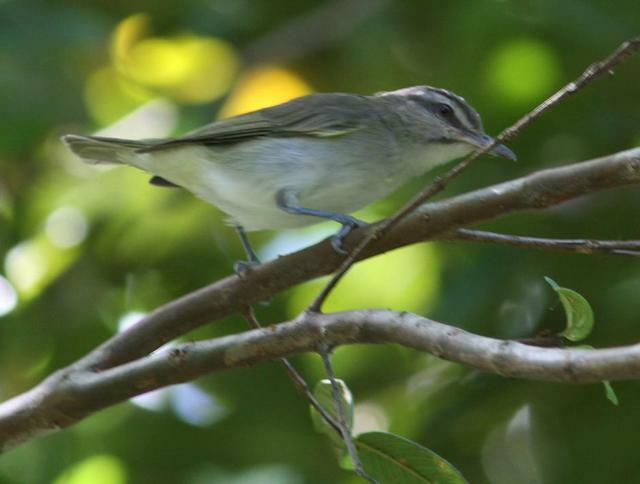 The black whiskered vireo. A small bird found in the West Indies and found as far south as Venezuela. The bird has dull olive-green upperparts and white underparts, with yellowish on the flanks and under the tail. It has red eyes and a grey-brown crown with faint dusky edges. There is a dark line through the eyes and a white eyebrow stripe. There is a distinctive black line (the “whisker”) on the neck sides. Juvenile birds are similar, but have brown-red eyes. 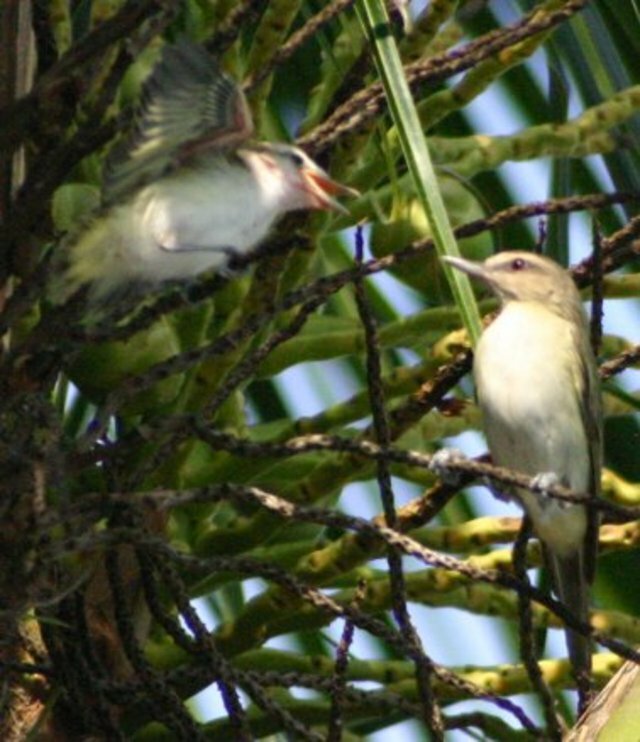 I read somewhere that the John Tu Whit is a migratory breed that migrates to Cuba around the end of each year. As a child, I used to associate them with mango season, because you could always hear them singing in mango trees, at a close inspection would always reveal that they were singing while feeding on the ripe mangoes.